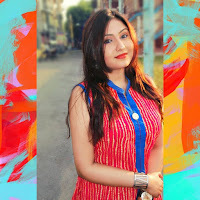 Now that the monsoon wedding season is finally over , I am going to tell you all about a very special eyeshadow from Makeup Revolution . 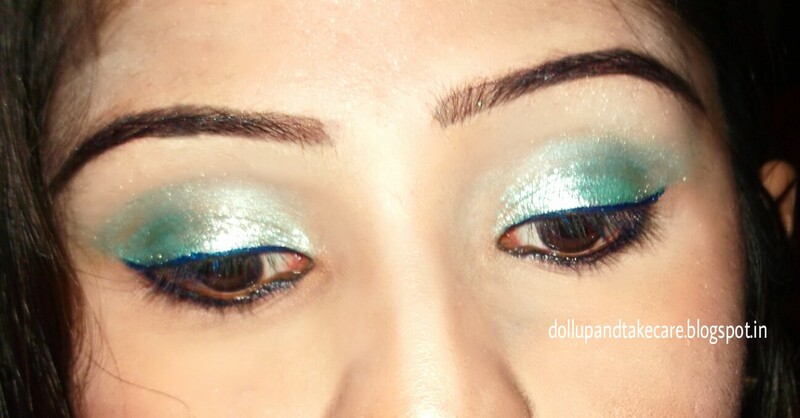 I prefer emerald shades a lot thus Makeup Revolution’s Awesome Metals‘ Emerald Goddess Eye Shadow Foil Finish is one of my recent pick. 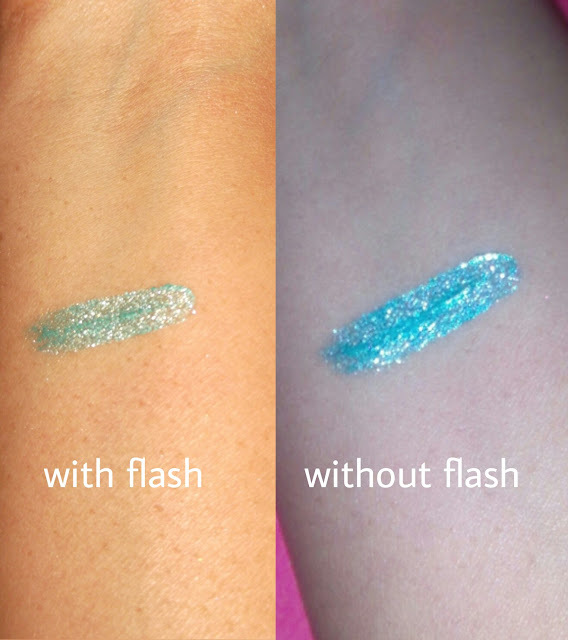 Well, I know emerald by name is suggestion something soothing that you can sport easily ,but surprisingly I am introducing you to fierce dazzle of emerald . 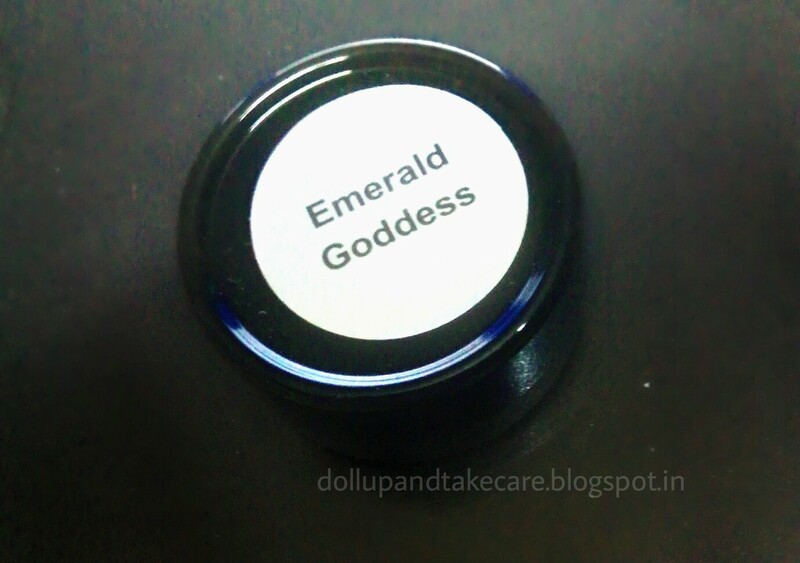 So here comes Soothness meets metal eyeshadow Emeral Goddess. 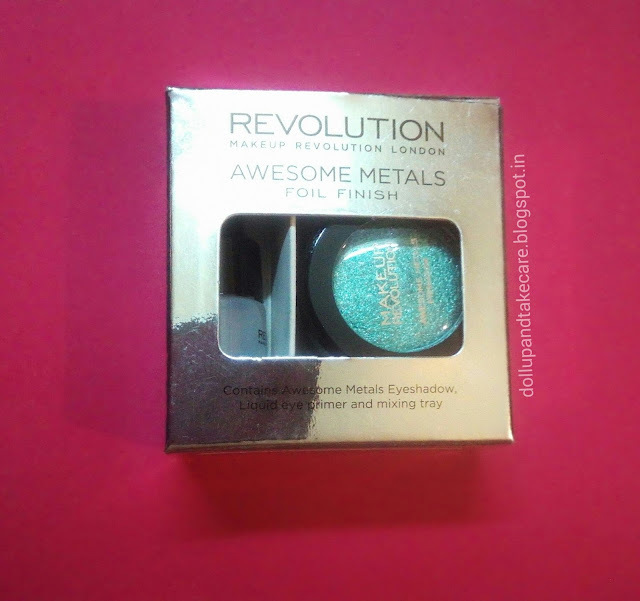 The mono eyeshadow from Makeup Revolution Awesome Metals comes is glossy ,squarish silver colored card box with it’s Brand and Range nme printed in black.There is a see throught cutting on the frontal surface through which you can see the cute tube . 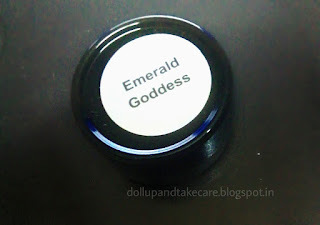 Opening the card box a cute tube with clear lid comes out .The creamy concentrated eyeshadow comes withing that tube .There is a tinny bottle with dropper head which says liquid primer .This resembles eye drops a lot. 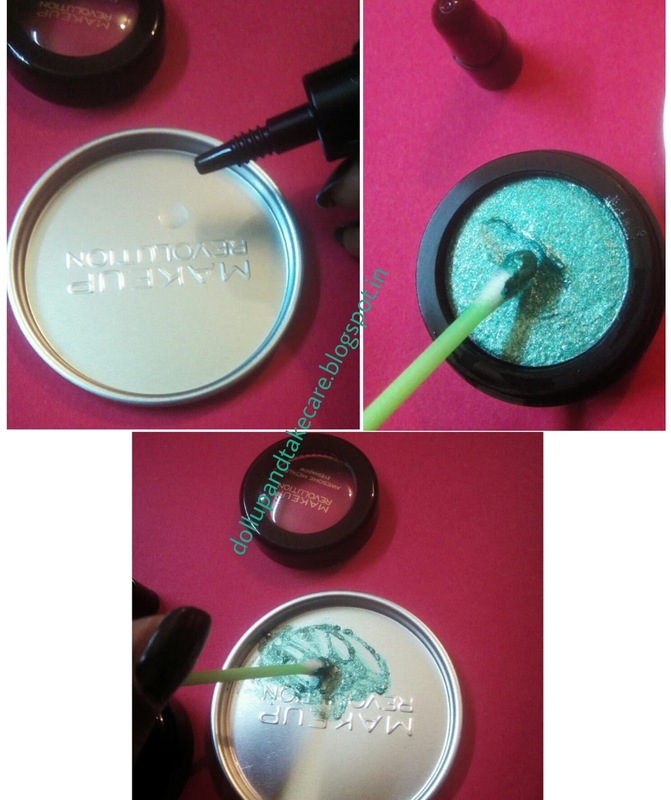 The is a metal tray where you actually mix the concentrated eyeshadow with primer . So this perfect combo of there comes in the silver card box .You can see diection of use printed on another side of that particular box . It is very much of a DIY shadow that you have to mix yourself , thick creamy shadow remains in the tube .You provided with a cute dropper head liquid primer bottle and a metal tray .Pour 2 drops of primer on the tray and take required quantity from the tube using a brush or ear bud .Mix it well and apply it . 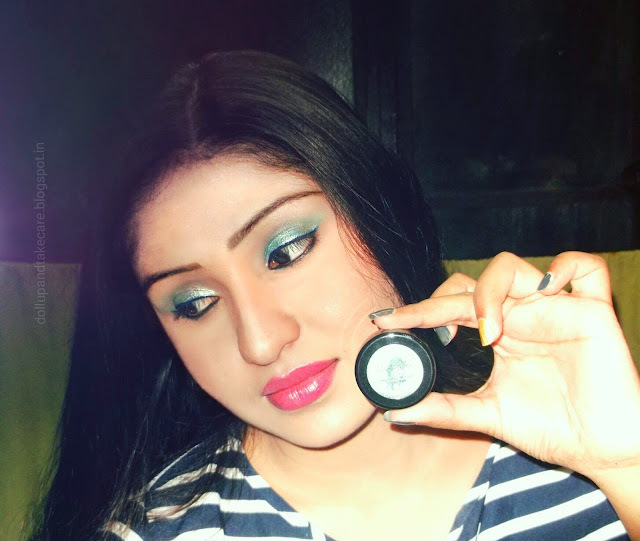 I have been expecting very very smooth finish from this shadow and pleased to inform it did fulfill my expectations . Color as you can see is emerald green with extreme metal finish .It takes 10-20 secs to dry but does not feel clumpy of heavy . 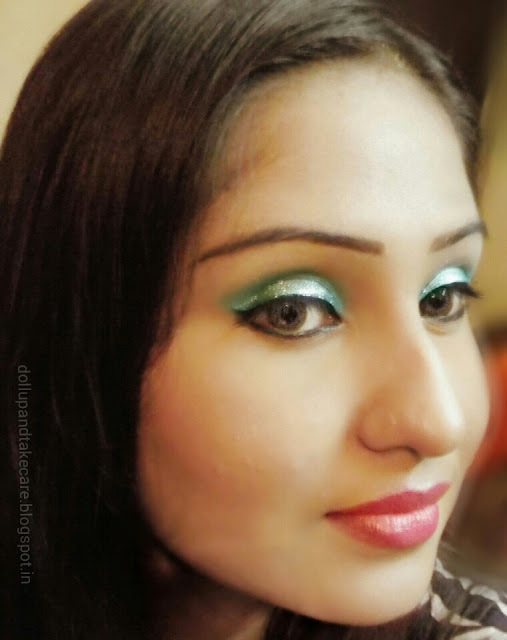 This liner is strictly a party wear ,it looks very very gorgeous.This color absolutely suits Indian skin tones from fair to olive skinned beauties. 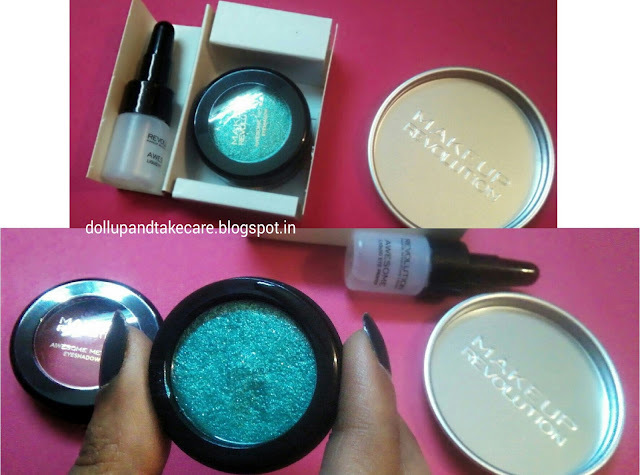 Pigmentation wise Makeup Revolution Eyeshadows have always been my favourite. I know these mix it yourself shadows needs practice to attain perfection but I am loving the texture .My second time use gave me perfect finish . I was a little confused first when I swatched these eyeshadow ,whether it will suit me .I absolutely loved the smooth metallic finish of this eyeshadow. 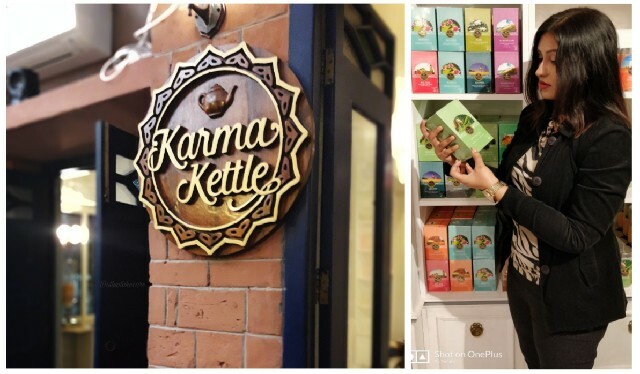 Quality wise I will not say it is on pricey side. Very very unique shade ,it is very much like soothness meets metal finish . Very Very Gaudy shade . 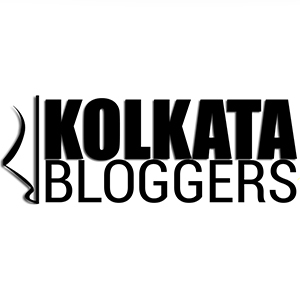 Suits Indian complection perfectly . Not a day time occasion wear . Metallic finish with glittery hint may not suit everyone’s taste .